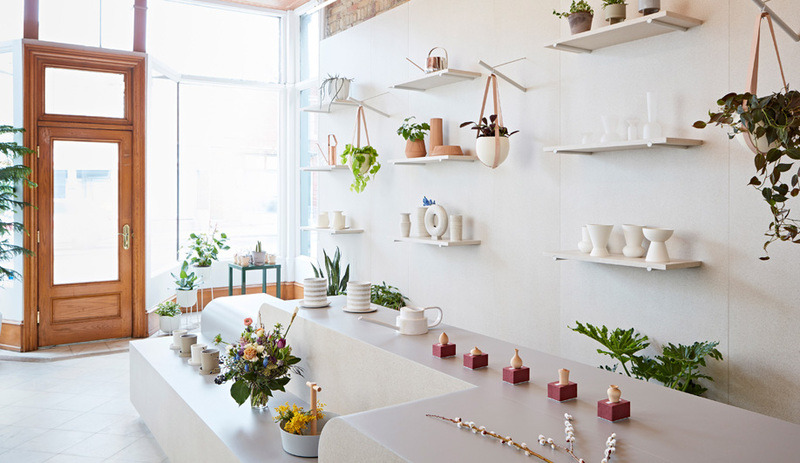 MSDS Studio integrates a craft and community aesthetic into a downtown Toronto floral shop. 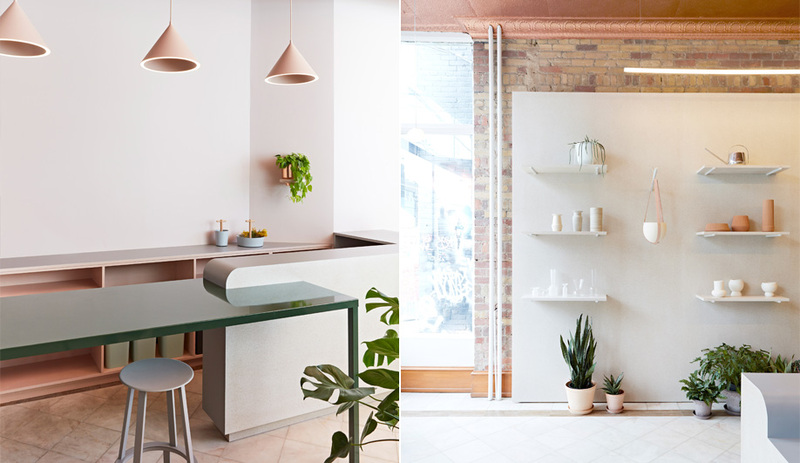 Flùr, on Toronto’s Bathurst Street, embodies a new breed of plant and flower shop; one that’s not dripping with ivy. 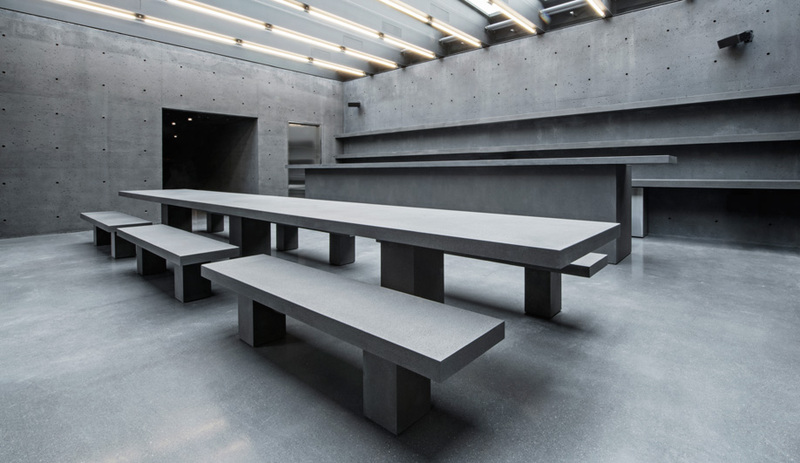 In large part that is thanks to the minimalist design of the store’s interior by MSDS Studio – an intervention more art gallery than arboretum. 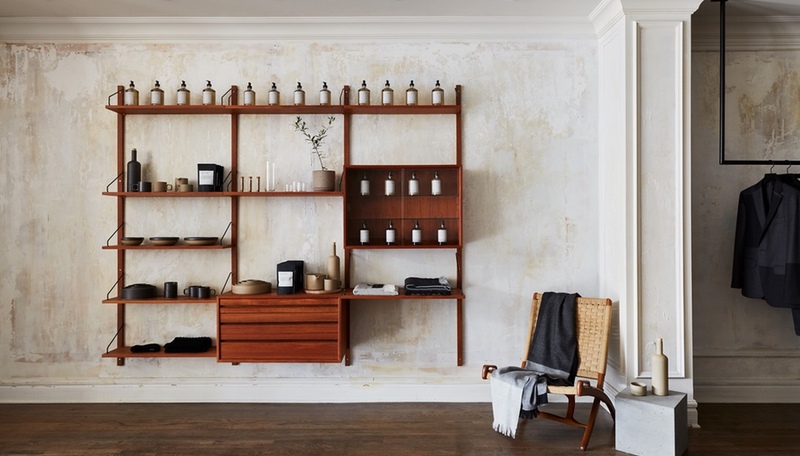 Playing to Flùr owner Chloë Fraser’s background in visual arts, a carefully spaced wall of fixed shelving that boasts a rotating display of vigorous tropicals, locally grown flowers and textural vessels, most of which are artisanal ceramic works. “For budgetary reasons, we decided to use inexpensive materials, but they also go nicely with the shop,” says Jessica Nakanishi, co-principal of MSDS. Linoleum curves around the centre plinth, creating an organic and multi-tiered display of plants and pots. (The shop sells MSDS’s planters for Umbra Shift alongside other affordably priced pots and accessories.) “It’s practical for plants, too, because it’s waterproof. And the particleboard provides a neutral backdrop from a distance, but some interest up close.” The builder-basic material was acid-washed to absorb a milk stain, then sanded and stained multiple times to achieve a “mysterious” finish, as Fraser describes it. 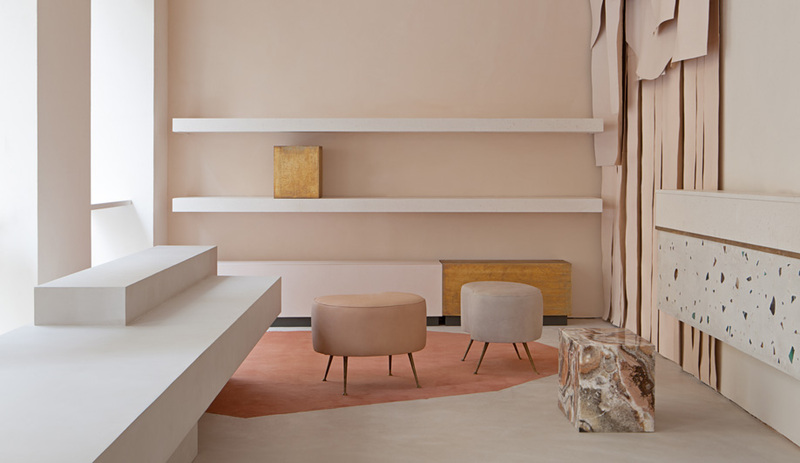 The studio worked with a narrow range of colours, adhering to the landlord’s request to not disturb the copper-painted ceiling, orange-hued woodwork and marble flooring. Moving the junction boxes was also off limits. “We basically had to build a space within the space,” says Jonathan Sabine, Nakanishi’s partner. 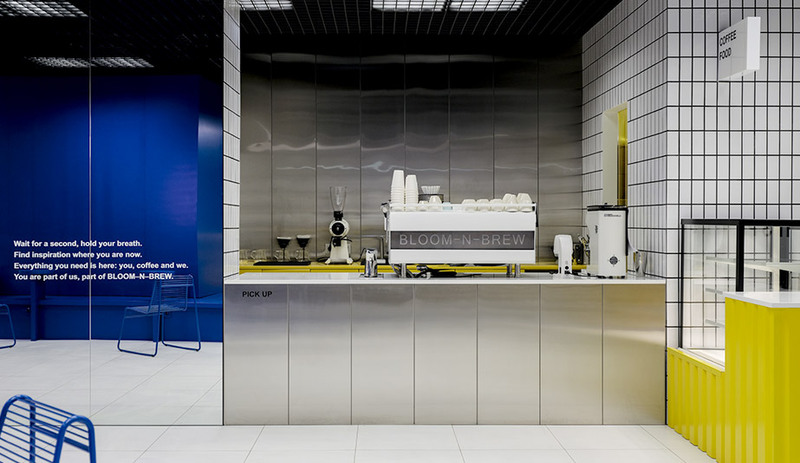 Neutral greys, soft pink and a botanical green on the industrial ductwork were used to complement and also soften the building’s existing features. A pair of buoyant LEDs from Anony highlights the scale of the shop.